Need to stretch your iPhone/iPad app budget? 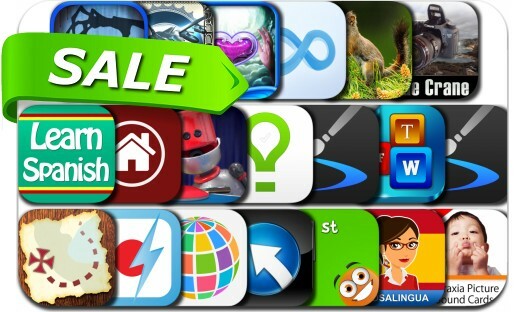 Here are 20 great iPhone, iPad and iPod touch apps that just went on sale. This app deal alert includes Document Writer, Phantasmat: The Dread of Oakville, Table Tennis Touch, Inspire — Paint it. Blend it. Love it., Echoes of Sorrow, iReminder, Easy Translation ~ Easily translate text or voice from/to English, Arabic, Turkish, Spanish, Italian, Chinese, French, German, Japanese, Korean, Spanish, Russian, Portuguese, Dutch, Czech, Greek, Finn, Inspire Pro — Paint it. Blend it. Love it. and many others. Inspire — Paint it. Blend it. Love it.